Mar. 5: Managing Your Online Personal Brand webinars. Choose between 12–1pm and 8-9pm. Mar. 7: Webinar: Whose degree is it anyway? Mar. 19: Webinar: What are you doing with your life? Hire a York Student: Do you have a paid internship or co-op position available within your organization? Why not give a York student the opportunity to apply? Eligible organizations may also receive a tax credit. 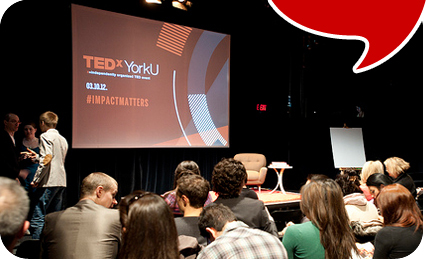 Join the York Circle: Be a part of York U’s vibrant academic and research community. Through FREE events, meet your community, share ideas and learn with York’s leading professors. Oracle DBA Information Session: Open doors and maximize your career potential with Oracle certification. Through this continuing education program, you will build a solid foundation in Oracle Database 11g. Register today! Ontario Science Centre: Save up to 20 per cent off regular priced tickets for general admission, the OMNIMAX® or combo tickets when you purchase in advance. TD Insurance: Get preferred home and auto insurance rates thanks to our special alumni group rate. Get your free no-obligation quote.